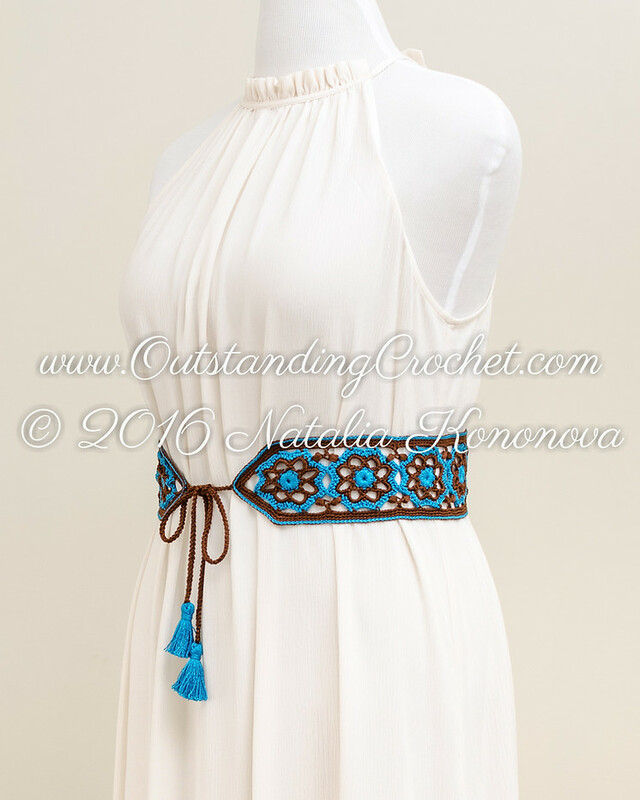 Outstanding Crochet: New belt crochet pattern in my shop - Sierra Tie Belt with Tassels. 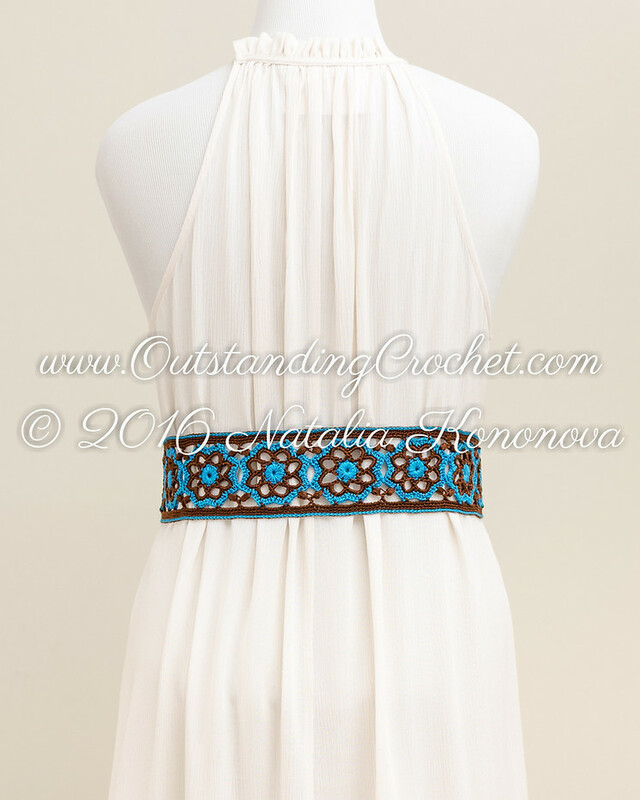 New belt crochet pattern in my shop - Sierra Tie Belt with Tassels. Miss 70s? In love with Boho Chic or Hippie Style? This tie belt with tassels is for a person, like you, who prefers life in many colors! 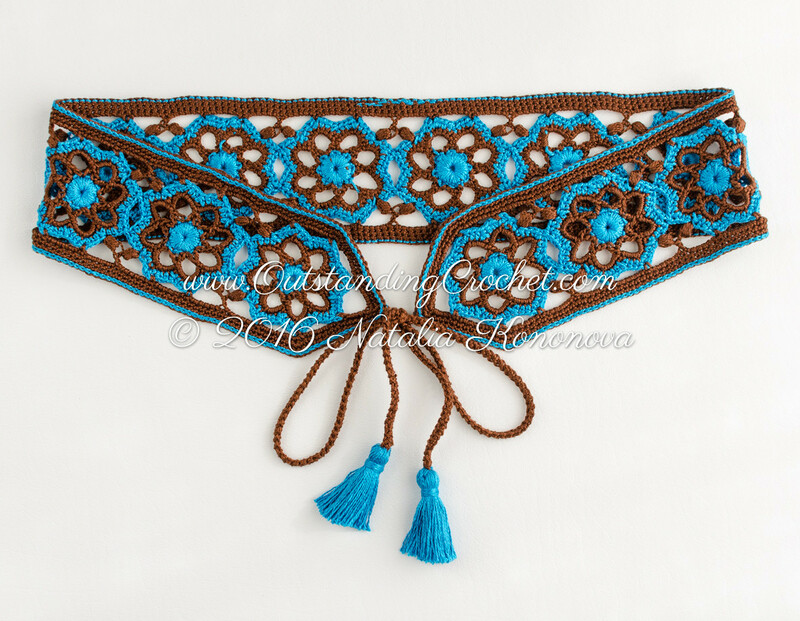 Check out Sierra Tie Belt Crochet Pattern page (clickable link). You'll find step-by-step pictures, chart, instructions. 58 (64, 70, 76, 82, 88, 94, 100) cm / 22 ¾ (25 3/16, 27 ½, 29 7/8, 32 ¼, 34 5/8, 37, 39 3/8)'' / 9 (10, 11, 12, 13, 14, 15, 16) motifs, later in the pattern sizes 9 (10, 11, 12, 13, 14, 15, 16) motifs. (PayPal, no registration on Ravelry or Etsy is required). Wow! I have been so busy crocheting myself and trying to write up my own patterns, that I haven't been keeping up with your blog regularly. I'm so glad that you have your store, your blog, and as always, you're making beautiful garments. I'm happy for you; you've been waiting a long time to be able to set up shop. All the best to you! Oops. I had signed in from another email account of mine. So, how is it going with writing patterns? Have you already released any?